It rises out of the turf covered earth like some vast creature from ancient times. 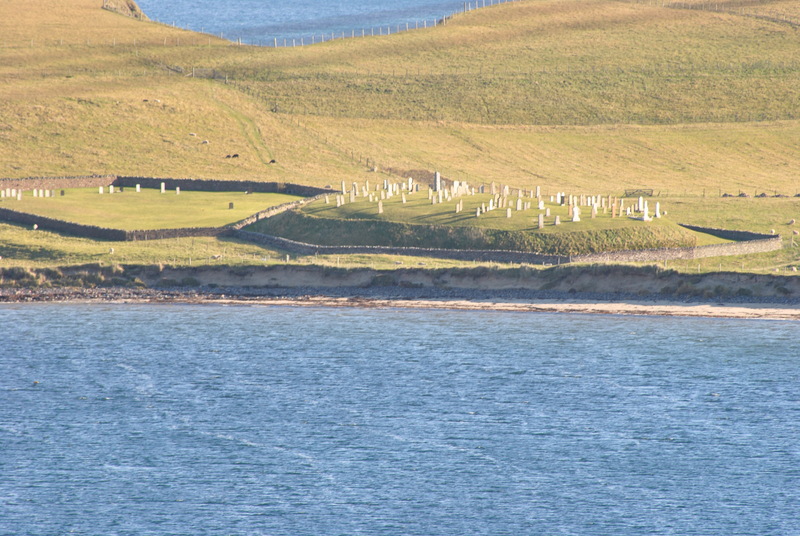 The mound at Levenwick faces the sea in a sandy beached bay south of Lerwick on Shetland Mainland. In the midst of sheep filled fields it is a strange sight, the gravestones stand solid on that mound and access is difficult, you need to cross the fields to get there. Burial mounds are old and do not let go of their secrets easily. Why should they, they were made for eternity, solid and lasting. 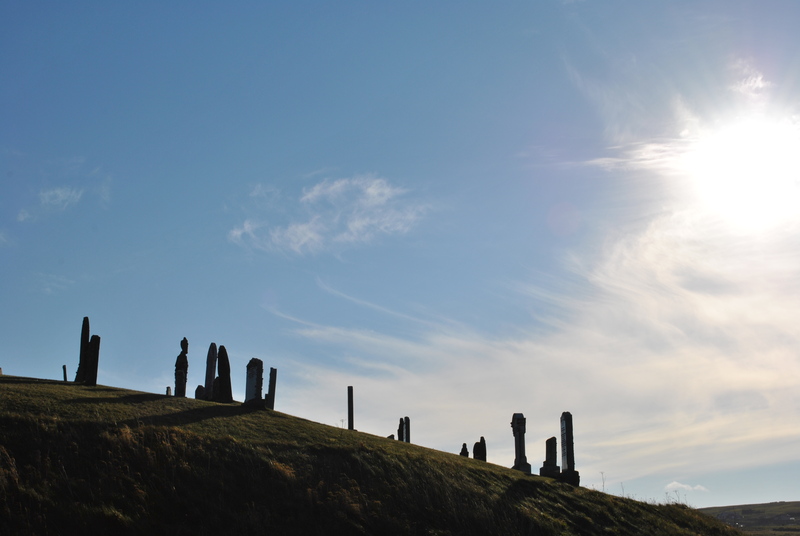 The one in Lerwick might well have been a Viking site at some point. The Vikings burned their dead for they believed the flames took them to Odin’s Hall to Valhalla. The burnt corpses were covered with stones and earth; a dramatic but also healthy way of burying the dead. 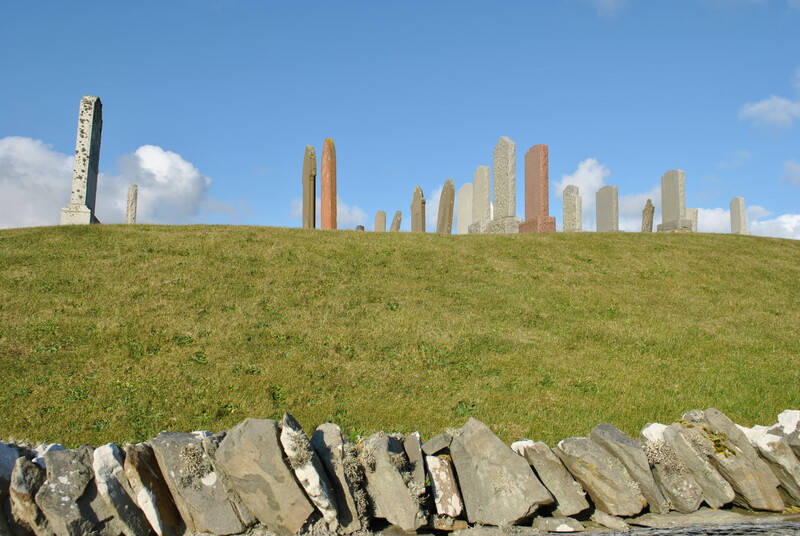 The mound at Levenwick definitely is a burial site now and an impressive one, too. 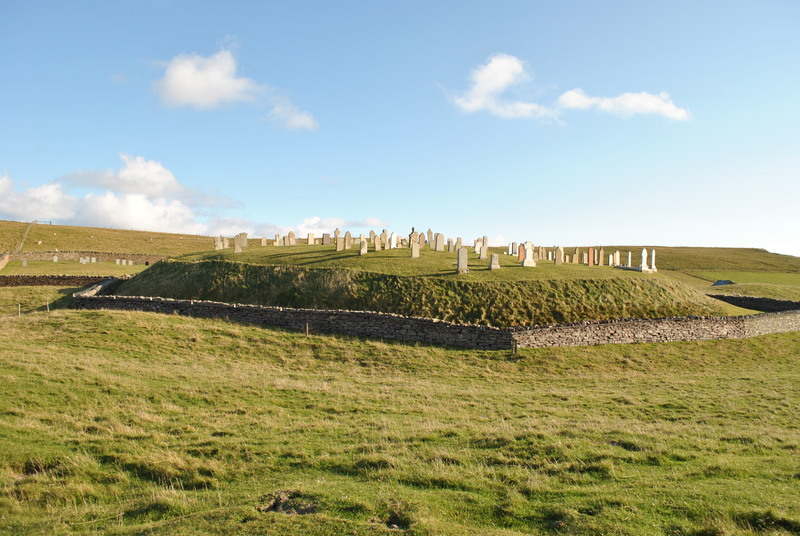 Cold stone rises towards the sun, standing strong in the cold winter winds overlooking the voe; a place that draws attention, a confident and conscious choice for a burial ground. The broch of Levenwick is not far away.